Elijah James was born on July 4 at 2:24 am, already with the Lord. I am keenly aware right now that my belly should be very big in the third trimester. I would be exhausted, washing baby clothes and counting down the weeks. You can read part 1 here. I’m sharing his story because it’s a story of how God works and cares for us in grief. He is so good. I also hope that this will help out other women in similar situations, since losing a baby in the second trimester is extremely rare. Stillbirth (loss after 20 weeks) happens in only 1 of 160 pregnancies. And yet I’m finding so many of us are in the club that no one wants to be a part of. It seemed like we had to face a million decisions after we found out our baby had died at 20 weeks in the womb. For anyone facing these same decisions, I hope it helps to know all the various options you have and the reasons we made our choices. But please know that our decisions won’t necessarily be best for you. There’s no one right way to deliver a stillborn baby. We chose to labor sooner rather than later. This would be my first time in labor and it would be a VBAC after having 3 c-sections. It would take a long time. Ideally, it would’ve been nice to have lots of time to process it and maybe get some rest before delivery, but that didn’t seem realistic to me. I knew I couldn’t sleep that night, so I might as well be sleepless in labor. We also wanted to start induction soon so that we could have more time together after delivering over the long 4th of July weekend. The sooner we started, the better. We picked up a nice fajita dinner from a local restaurant and ate at home. Then we went to the hospital at 8 pm on the night we found out our baby was gone. My doctor called ahead to arrange a room in the L&D Unit, a room far from other laboring moms and far from those newborn cries. The nurses placed a card on my door to notify anyone walking in that this was a place of bereavement instead of joy. Even though I’ve had 3 c-sections, a c-section wasn’t their first choice. It would involve a long recovery time, something you really don’t want when there’s no baby to make recovery easier and full of joy. Something more invasive like a D&E would mean I wouldn’t get to hold my baby. Labor & Delivery is the healthiest thing for a mom who has a lost a baby, for both physical and emotional recovery. My doctor and a high risk OB she consulted with recommended going slowly. Slow pitocin doses. They even used a Foley catheter in an attempt to manually start labor, but it didn’t work well. Neither did the pitocin. After a day and a half of pitocin, the doctor started cytotec. Because it can be pretty strong, it was a last resort for a 3 time c-section mom. We wanted to avoid the risk of uterine rupture and maintain my overall reproductive health. Less than 12 hours after starting cytotec, I was having strong contractions that left me speechless. I thought the labor process would be long and torturous, but it was long and healing. It gave us time to process, to talk through all of the decisions, and to rally our support system. These visits were actually very healing for us. Our pastor and his wife came to pray with us. We also had family who wanted to support us and we had no desire to turn them away. In fact, we even let our kids come up to visit (they were 2, 4, & 6). Visits were a beautiful distraction and a way to bring others into our grief. I felt like it was really important for even our extended families to visit us so that they would know what we were going through. By being apart of the process of loss, they would better understand how to support us in the future. Our family and friends also helped support us in many tangible ways, through helping with our kids, bringing meals during and afterwards, picking up miscellaneous items we needed at the hospital, and even making arrangements for our baby. Again, there’s no right answer for this one, but we chose burial. It’s what everyone does in our family, and our daughter was already asking if she could visit her baby brother’s grave. We had a hard time picking a cemetery. Part of me wanted our baby buried near his grandfather, in a lovely rural cemetery near my brother’s home and cow pasture, but we knew it was too far away for frequent visits. I was completely overwhelmed with this decision and couldn’t make up my mind on anything, so my husband’s cousin and aunt did the hard work for us. They stepped out into the hallway and made many phone calls to funeral homes and cemeteries. They would report back, but we never had to overhear those painful conversations. Most local cemeteries near my home are Catholic, and I’m not, so some of the funeral homes that offered free services and burials weren’t a real option if we couldn’t find a cemetery for the baby. Eventually, we chose a pricier cemetery because it’s near our home and also has a baby section. A local organization called Maddie’s Footprints paid $500 towards the burial of our son, a huge blessing. We chose to have only a burial service for our son. It was hard enough for me to grieve publicly, so to me, keeping it short but being surrounded by family was all that we needed. Our pastor performed the service. We didn’t announce it publicly; we wanted to be more private in our grief. But if anyone outside of family heard about it and wanted to come, we definitely wanted their support as well. Many people are surprised to hear that we had anything at all done for our baby. For one, it felt only right to celebrate his precious little life. But he was also stillborn. The US has a 20 week definition of stillbirth (some countries have 24 weeks). This requires the baby to be released to a funeral home after death. Taking him home and burying him privately wasn’t an option, though it is what many families do in the case of 1st and 2nd trimester miscarriages before the 20 week mark. I’m sure it’s very healing to care for your baby’s body rather than letting a hospital tend to it. The 20 week rule seems so arbitrary to me. Had we discovered I had lost the baby just a week earlier, the definition would have changed completely. Yet like any woman who suffers a miscarriage, my grief still would have been deep. Losing a baby is hard, whether it happens at 8 weeks, 18 weeks, or 28 weeks. We ordered a beautiful little Amish-made wooden casket from Heaven’s Gain. I still wonder what my mail lady thought when she delivered that to my house. She calls me sweetie now, and she never did that before. 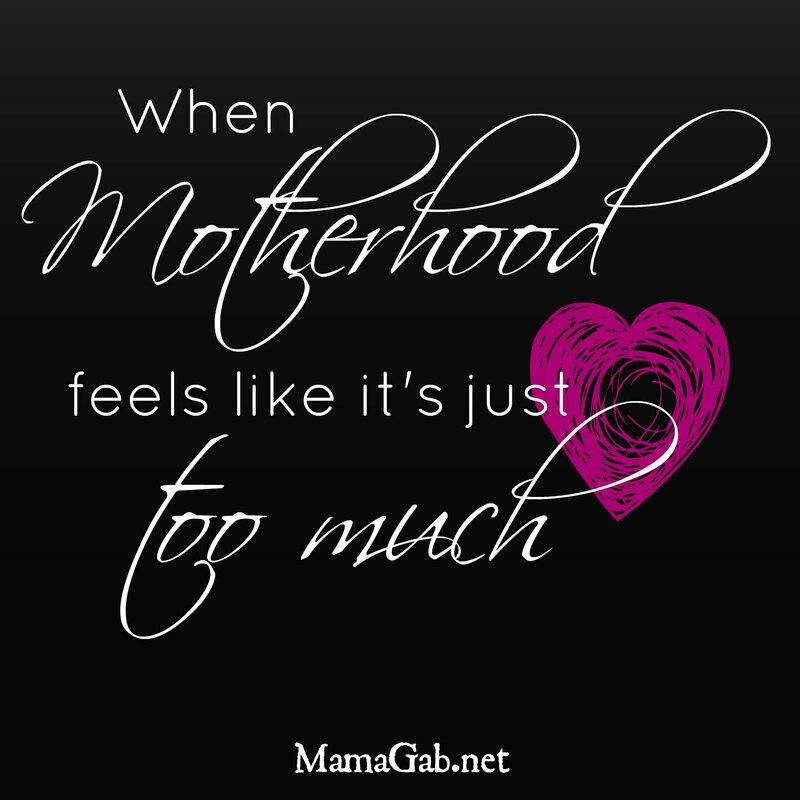 No pregnant woman knows where to find baby caskets or how to make arrangements, and yet we’re faced with all of these decisions for something we never dreamed would happen to us. This is where beautiful community comes into play. From the moment people heard our news, I was receiving phone calls and text messages from friends who have been through this. They told me about caskets and so many other choices I would have to make. People love to talk about the mommy wars, but I’d rather talk about mommy support. That’s what I’m experiencing. I called a local flower shop to order an arrangement for our baby’s casket. I was overwhelmed when they asked me about colors and size of arrangement. I stuttered and muttered and couldn’t say anything intelligible. And then they asked if I was Elijah’s mom. When I said yes, I heard a man in the background declare “No charge. Tell her I’ll take care of the details.” Like any sane woman who just lost a baby, I promptly burst into tears on the phone, muttered thank you, and hung up. I got an epidural. I didn’t even have to think twice about it. At the suggestion of a friend, a L&D nurse, we opted out of the autopsy but agreed to chromosomal testing, with the hopes of learning what happened to our baby. The lab will use the placenta and a portion of his achilles tendon to find out what happened to our son. It has been over two months now and we still don’t have lab work back. We’re at peace knowing that we may never know. Elijah had no visible deformities, no spina bifida, no cord complications. He was perfect. So many people have told me their regrets when they lost their baby. I should’ve held him, I should’ve taken pictures, I should’ve looked at him longer. After hearing all of these regrets, I decided to say yes to anything that was offered me. Outfits, photographs, footprints…these are the tiny momentos that will be all we ever have of our baby. In this situation, part of you feels that keepsakes are morbid. And the other part? It says I don’t care. This is my grief, my life, my child. We will not have diplomas or photos of first days of school. This is all I can have, so I want all of it, please and thank you. Elijah was buried in a sweet piece of a wedding gown that was turned into a little baby outfit of sorts. We let the nurses take photos of him but we also requested a photographer from Now I Lay Me Down to Sleep. She took beautiful photos, and I would share some of them with you but their policies state they are for private, non-commercial use only, and technically, this blog makes money, so I won’t share them. These photos are a treasure for us, and we framed one for each set of grandparents. One is framed in our living room. The nurses took photos too, which aren’t as professional and polished, but since the baby was newly born when these were taken, they are treasures to us as well. The nurses gave me a beautifully painted box to put all of Elijah’s keepsakes into. It broke my heart when my husband informed me that this is actually the box that many moms take their babies home in if they have a miscarriage prior to that magical 20 week stillbirth point. We have blankets that we held our little baby boy in, including one tiny one that my husband’s aunt sewed for him after learning he was gone. These things are kept in his box, where my kids and I can touch them anytime we like. I used some of his items, like a little gown he wore, to make a sweet little shadow box for his graveside service. I’m working on shadow boxes for all of my kids and I’ll hang all of them in our home. Elijah wore this beautiful white gown after he was born, though it was far too big for him. The tiny white cap fit him perfectly, and this is a duplicate of the one he wore. He would have fit well in the knitted outfit (center), but we wanted to keep it for our memory box. We chose not to let our other children see their baby brother. His skin couldn’t be cleaned properly; it was too delicate. The coloring was such that we knew it would be hard for our kids to look at. Our baby was beautiful. I can’t tell you how much I loved Elijah’s little feet and hands with their sweet prints, or the faint outline of tiny hairs on his eyebrows. But we really didn’t want our kids to see anything that might disturb them, so we only show them photos where his little white cap is all that is visible. When my kids ask me what he looked like, I remind him that all of our Daigle babies look alike–brown hair, brown eyes, similar features. This is what he looked like as well. My mom swears he had the Daigle mouth. All of the grief books will tell you to use the name you planned on giving your child, had it been born alive. This helps with the grief process and maintains your idea of your baby’s identity. But we had no boy name picked out. Our last two children were boys and quite frankly, we were out of ideas. We decided we would choose a boy name once we found out the gender. It was at the gender sonogram that we learned our baby was gone, and he wasn’t in a position to view if he was a boy or a girl. We wouldn’t learn gender until his birth. About two weeks before Elijah was born, I heard the Rich Mullins song “Elijah” for the millionth time. And I made a mental note to tell my husband that Elijah would be a beautiful name for a baby boy. But I forgot to tell him. The night we checked into the hospital, my husband sat on the couch in my hospital room, scouring the internet on his phone for baby names. His suggestion? Elijah. What a great Biblical figure and a great name! We gave him the middle name James after my stepdad who passed away three years ago. No one will ask you about your stillborn baby’s name–where it comes from or who he is named after. It’s one of those things people don’t talk about. I talked to one of my nurses the night before my baby was born. I asked her if she had any advice for me. She said “you just have to walk through it.” There’s no avoiding it. People who try to avoid grief and walk around it eventually find themselves face to face with grief years later. Instead, just walk through the fire. I don’t know how to explain what it feels like to know that you could ask for anything in the world and people around you would do it immediately, but that’s how I felt at the hospital. It felt terrible. I remember asking for something to get me to sleep the first night in the hospital. I’m thinking Benadryl and they’re offering me heavy sedatives. We ended up finding something that would help me sleep without numbing me emotionally. More than anything, I did not want to be emotionally numb. I knew I needed to feel it, to let the sadness wash over me whenever it would. I didn’t want anything to stop the tears or the emotions, I just wanted to sleep when it was time to sleep and be awake during the rest of the process. I fell asleep late on a Friday night. The painful contractions were numbed by that lovely epidural. At 2 am, a nurse woke me up, telling me it was time. My body was ready. We just needed to wait on the doctor. My husband opened up his playlist on his phone and began playing hymns to comfort us. Twenty minutes later, the doctor was there and I felt pressure. One push and our little Elijah was born. Everything came out at once in the amniotic sac, which was a huge answer to our prayers for a healthy delivery. It really doesn’t get healthier than that, since everything, placenta and all, came out together. I had already decided that we would not tell our baby good-bye. Our cousin lost her sweet baby Oliver, full-term, a year ago, and it was she who suggested that this would not be good-bye, but goodnight until we meet again. As he was born, “Goodnight” by Matthew Smith was playing. It was completely unintentional and completely perfect. We held our baby that night, weeping at his absolute perfection. We slept, woke up, and held him more. We had a photo session with our Now I Lay Me Down to Sleep photographer, and we let any family take photos with him who wanted to do it. It was their grief too. And finally, we were told it was time to go. I lost it completely. How in the world could I walk out of here without my baby boy? Somehow, we worked up enough strength to leave, and the nurse was crying as she left our room with our baby. We told Elijah goodnight, gave him a kiss, and we look forward to the day when we will meet again. So many tears Gabby. I’m so sorry you’ve had to walk through this. There are many common parts of our stories, and some things we chose differently. Our James was born at about 3am on a Saturday too, with the sac intact. I wish we held him longer, but then again there’s not a day that goes by that I don’t wish I could hold him, so I don’t know that a few more hours would help that feeling. We made a shadow box too, and a couple other pieces of art for other rooms to remember him by. I’ve never heard that Matthew Smith song, but it seems just about perfect. I was singing hymns that night too. I’m so thankful you are sharing your story here. It is healing and helpful for me to read, and I’m sure it helps others as well. I’m praying for you and will continue to do so. Thank you, I’ve been praying for you too. Sometimes I wish I wouldn’t have slept after delivery, that we would’ve held him the entire time. I know that’s not realistic though. I think it’s that longing for more time with him, one way or another. We heard the Matthew Smith song at a little concert at a church a few years ago and were struck by the depth of both the grief and the hope in the same song. Hymns and scripture are such a comfort. Oh sweet friend. My heart is breaking for you. Again. I know it’s nothing compared to your heartache. I am so sorry. I love Elijah’s name. He has not been forgotten. Love you!! Thank you for sharing your story. I am continuing to pray for you and your family. And I’m so sorry for the loss you have suffered. You’re so brave to share your story. I didn’t know what to do when we lost our oldest child and only daughter as it would turn out at 20 weeks. I went into labor from a weak cervix aND heard the dreaded words from the doctor that they couldn’t stop the labor and I had to push her out. Back then no one offered me a beautiful photo, I have one small Polaroid and I was in a room where I could hear the sweet cries of other babies whike i mourned the loss of mine.This was 15 years ago and my heart still breaks and aches for Maya. My heart goes to you, your family and sweet Elijah. I hope you will linkup with our Small Victories Sunday linkup and inspire other moms going through such a difficult situation. I am so, so sorry for the loss of sweet Elijah! I can’t imagine what you have gone through, but thanks for putting it into words to try to help us understand! I read the first part of Elijah’s story a few days ago (can’t remember where) and happened to see this part 2 on a link up today… so glad I got to read the best. What a sweet little guy to be a part of your life for just a short time… it sounds like you have done many things “right” to honor him and remember him. Oh your sweet boy.. I’m so sorry for your loss. Oh. I feel the pain in this post. Yet I feel the love and beauty. Your family and friends to surround you and care for is an amazing gift. Never forget that. God will care for all you. I followed you over from your guest post at The Humbled Homemaker to read your story. Thank you so much for sharing – I’m so sorry to hear about the loss of your precious little one. Your article will bless many.